Selling standing timber? Do you have Cedar, Douglas Fir, Hemlock, Alder hardwood on acres or large property in Western Washington? We offer logging services, timber estimates, trucking, self loader log hauling, land clearing, road building, timber management, permits AND Reforestation. FOR ALL Your Forestry needs in Western Washington only!!! 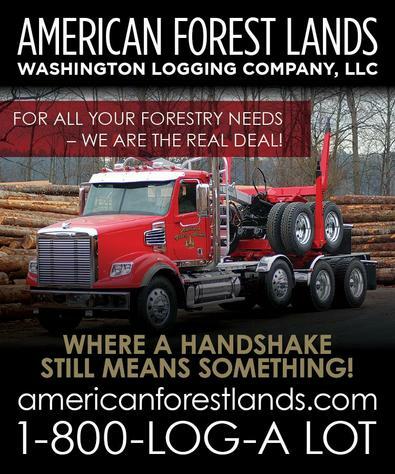 American Forest Lands Washington Logging Company. Tree Logging in your town: Graham, Auburn, Maple Valley, Kent, Renton, Duvall, Monroe, Snohomish County, Pierce County, Tacoma, Seattle, Gig Harbor, Port Orchard, Key Peninsula, Poulsbo, Orting, Rainier, Tenino, Bucoda, Yelm, Puyallup, Enumclaw WA 98022, Black Diamond WA 98010, Hobart, Wilkeson, Eatonville, Rochester, Graham, Bonney Lake, Issaquah, Bellevue, Chehalis, Winlock, Brady, Bucoda, Centralia, Onalaska, Spanaway, Auburn, Yelm, Maple Valley 98038, Tacoma logging company, Covington, Skagit County, Concrete, Bow, Mount Vernon, Cle Elum, Olympia, Lakebay, Home, Tukwila, Steamboat Island, Camano Island, Lewis County, Kitsap County, Pierce County, Island County, Kitsap County, Skagit County logging companies, Fall City, North Bend, Centralia, Sumner, Lakebay, Shelton, Home, Olalla, Island County, Camano Island, Kitsap County, Thurston County, Lewis County and more.. Better Business Bureau Accredited, Logging is our life- doing it right is our business!